What is an Interview Type? Interview Types are used for each interview stage in the hiring workflow. Once created, you can assign it to an interview stage within any of your current or future job vacancies. 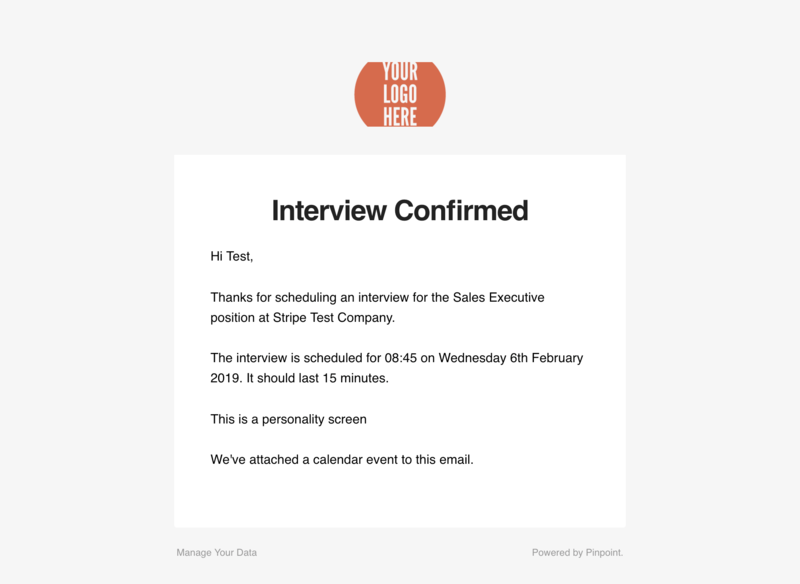 An Interview Type is a pre-made template designed to save you time later on. When you send out an interview request to a candidate, this is driven by the information within the Interview Type. Once created, you can use this within your Hiring Workflows, by assigning it to an interview stage in the workflow. Typically you would create one per location, type of interview and duration combination. 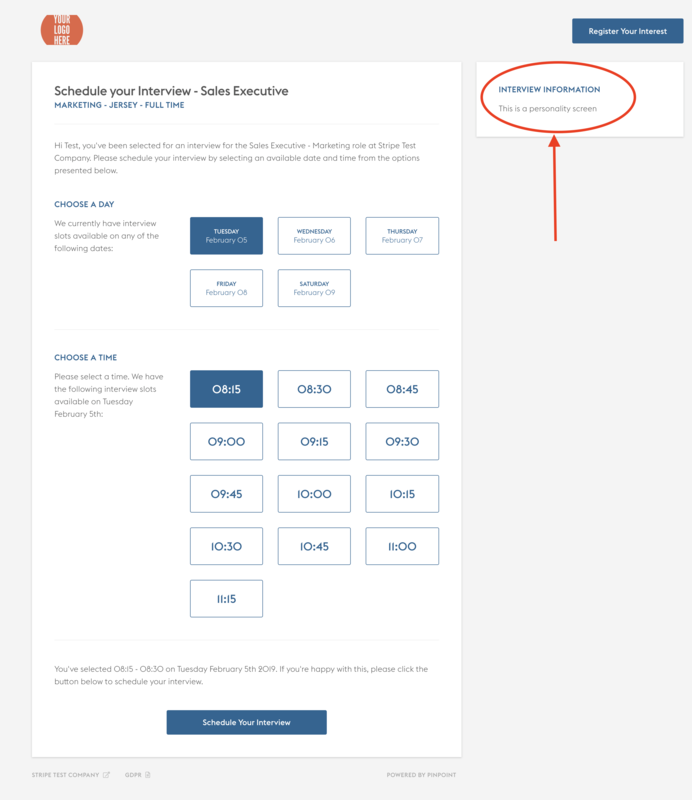 The main benefit is that it has a free text field called 'Instructions' and within here you might give directions, instructions on how the interview will be conducted, any preparation needed, etc., so to save you typing this out every time, you can simply use the Interview Type instead.